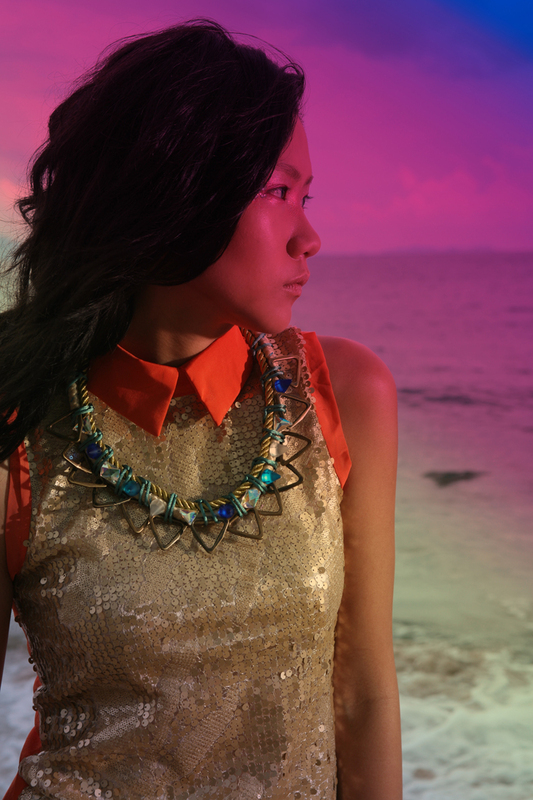 Nutcase Fashion brings you one of a kind quirky jewellery Handmade and Designed by Connie Lo. Connie is a 27-years old independent jewelry designer based in Hong Kong, Nutcase specialises in chunky colorful necklaces mixing hybrid materials together. Bringing you fashion-foward and unique jewelleries created with all her fun heart and soul, with love, for all of you, since 2008. Not long ago I dreamt about a sparkling sun-kissed Mermaid floating about in the sea, reflecting the most gorgeous colors imagined and revealing the hidden treasures from the undersea… a sweet scent from your favourite summer romance and the thrill of discovering a box full of jewels. This collection continues in the chunky necklaces styles from past season with an injection of summer’s hottest neon colors and everything brighter, bigger and louder! It uses an eccentric mix of thick ropes, chunky chains, natural stones and iridescent coated beads. good job hun! everything looks super gorgeous and awesome here! cant wait to get my hands on these! these are beautiful!!! i have to have some of nutcase fashion pieces! Melissa, yes buy buy!! hahaaaaaaaa she is sooo talented. write in nutcasefashion.pr@gmail.com if you have any queries at all. i cant wait to get my hands on some too. hi amazingzaleas, welcome to my blog. thanks, glad you like it!